Originally from Chester, Jacinta studied Law at Sheffield University before returning to Chester to complete the academic stage of training at the College of Law. She moved to Shropshire to complete her legal training in 1984, qualifying as a Solicitor in 1985, and fell in love with the county. Jacinta and her husband have remained in Shropshire ever since. Jacinta leads the firm’s residential property team and deals with all types of acquisitions and sales relating to domestic use of land, including site developments, single and multiple plot sales. 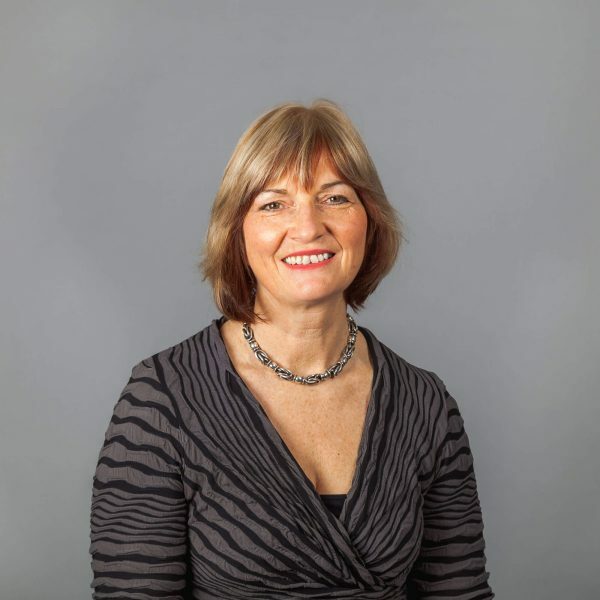 Jacinta is a founder member and currently leads the Shrewsbury Solicitors Group which meets quarterly with the aim of sharing best practice and tackling issues that are believed to be contrary to our clients’ best interests. Jacinta has been a member of Hatchers’ property team since joining the firm as a partner on 1 January 1991. Initially she assisted in various departments eg Family, Wills and Probate and so gained a broad knowledge, but for the last 20 years she has specialised in all aspects of residential property. advising landlords and tenants on management matters, eg. lease extensions, enfranchisement. Jacinta always works hard to achieve a client’s objectives in a transaction, but she recalls one matter that stands out in particular. One of her clients had agreed a significant acquisition deal at the beginning of December and it was a term of the agreement that the matter completed in a very tight time scale. When the paperwork eventually arrived it was huge and in view of the imminent Christmas holiday it seemed that to complete the task in the time frame would be impossible. However, determined not to disappoint our client, the freehold reversion team gave up several days of their Christmas break to get the deal done by the end of year deadline… and they did it! Jacinta is married with 2 adult children. She is a keen horse rider and enjoys many outdoor pursuits including; running, walking with her dogs, cycling, and various water sports. She is a positive, loyal and energetic person who likes to get things done. She tries to make the most of each and every day; balancing work, home, commitment and support of her local community and leisure interests.